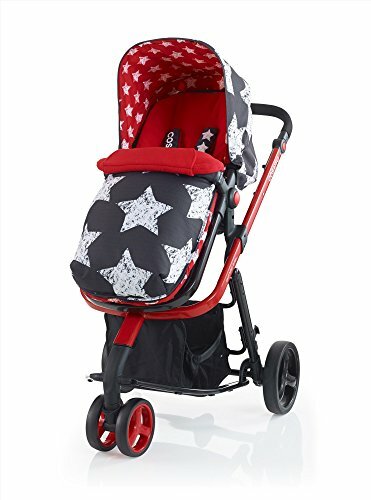 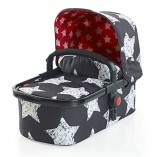 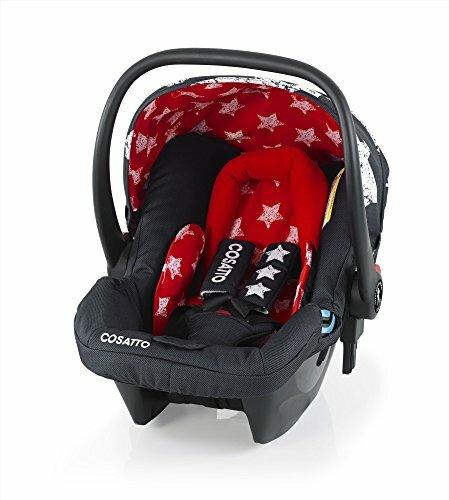 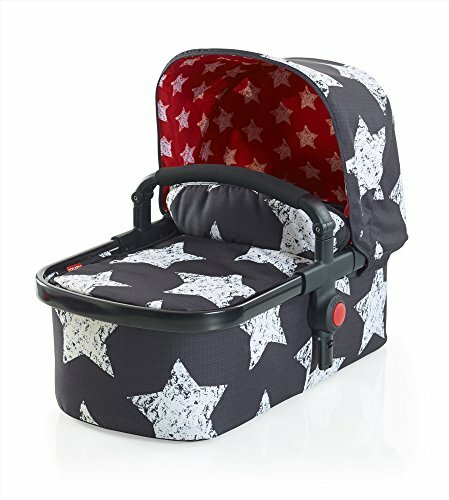 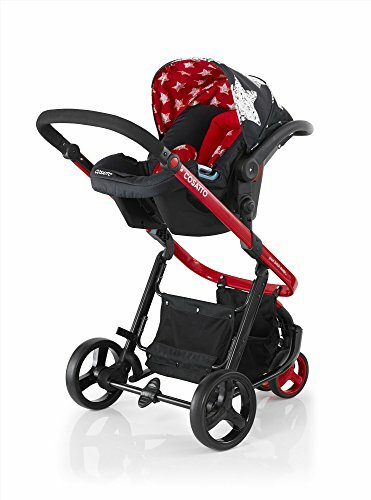 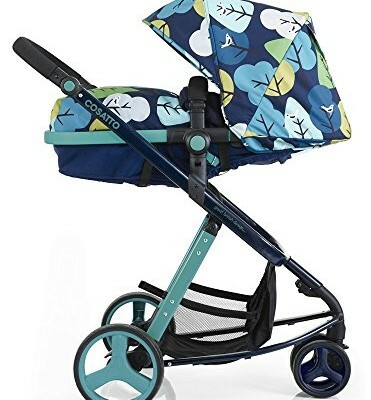 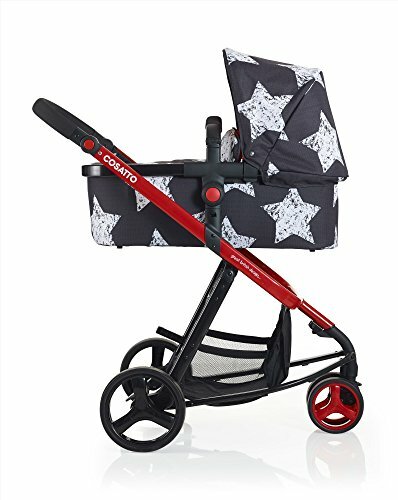 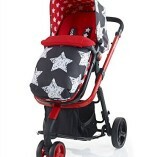 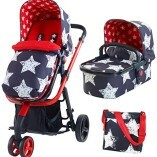 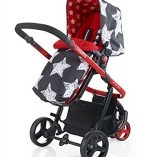 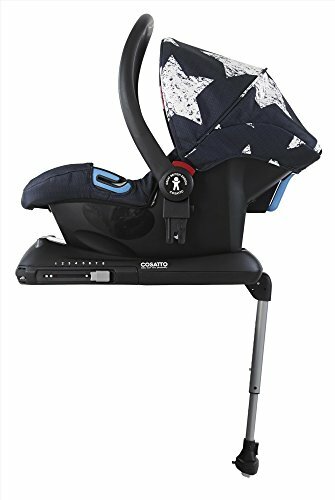 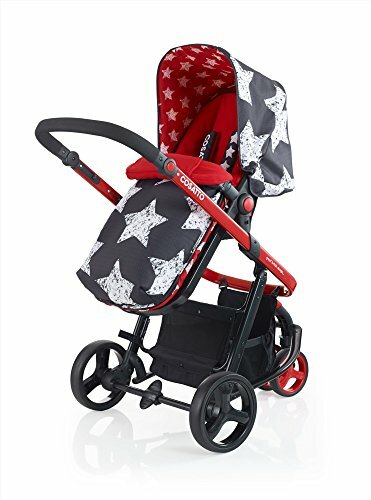 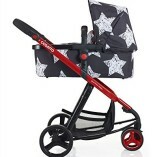 Cosatto Giggle Pram is a lightweight 3 wheel pushchair with an eye catching coloured chassis and brightly seasonal patterned fabric.The Pushchair comes as standard with lie flat carrycot that easily converts your pushchair is to a safe and cosy newborn environment. 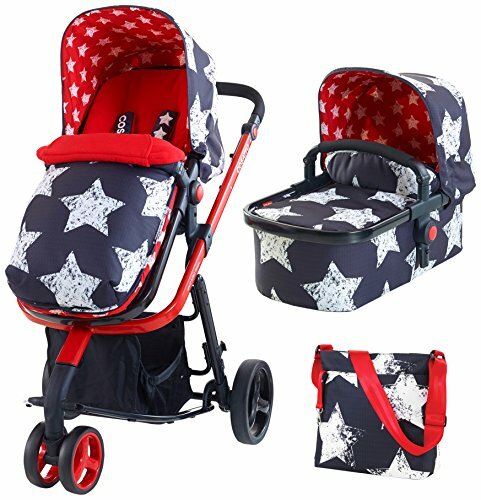 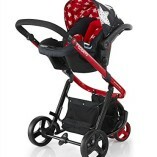 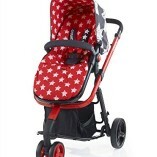 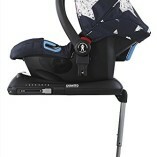 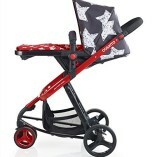 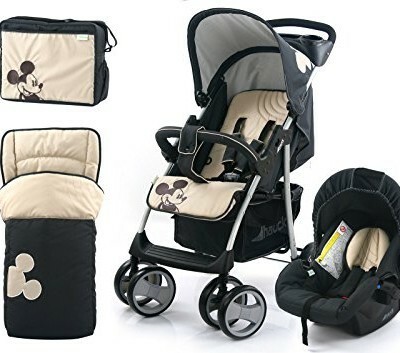 The Giggle Pushchair has a reversible reclinable seat unit allowing your child to face towards you for all important contact and as they grow older, facing forward for curious eyes to explore as well as the comforting recline positions for sleepy heads too.Giggle has a lightweight compact chassis making it easy to use, store and transport. 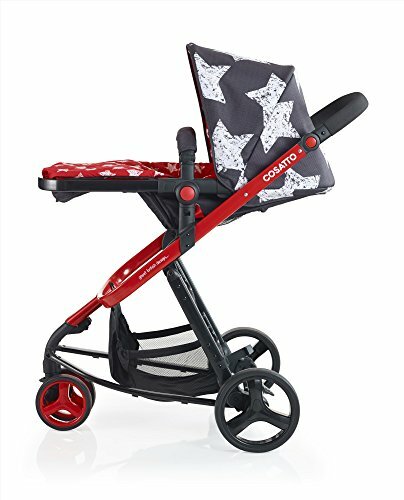 For ease of us Giggle has a lockable swivel front wheel, and adjustable handle height for parents comfort.The Giggle Pushchair is compatible with the Giggle Car Seat (sold separately) that easily attaches to the chassis converting your stylish pushchair in to a practical travel system.